Small Business Coaching - 3 Steps To Lean Manufacturing. I’m a Houston business owner for one good reason. I want to make money. Of course, who doesn’t want to? But I know every successful business survives for a reason. They figured out how to delight the customer. And they figured out how to create the exact solution. It solves the pressing problem the customer wants to solve. And the best way to create what the customer will love is to apply Lean Manufacturing. If you fall in these patterns, it’s time to stop. I’m going to set the alarm. 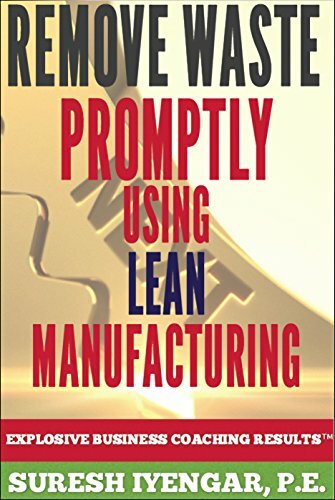 Lean Manufacturing works for any business. Easy? Maybe-depends on how ready you are for change. Why Lean? Because it uses less compared with other methods––Half the space, half the tools, half the engineering hours to make goods in half the time. And you need far less inventory on site. It results in fewer defects, and more variety of goods. Understanding the customer is key. It’s this step, which marks the start. Let’s say you’re in the software business. Then you need to make sure you know what customer currently wants. Second, you’ll consider the work so customer approves design. Third, your tests and customer tests have to pass. Have your coders talk to customers. Coder knowledge, short code cycles and auto testing can drive this step. Now you can deliver in small chunks so customer can approve the final product. It will make sure your solution matches what the customer wants. This is how Lean methods find value for the software business. Remove waste in small steps. Remove not just the symptom but the cause or waste. Continual improvement is central to Lean. Seven types of waste affect every business. You can also find them in service, software or any other business. They are: overproduction, inventory, extra processing, motion, defects, waiting and transport. You could equate these to a software service and find seven wastes there. They would be equal to: extra features, needs, extra steps, finding data, defects not found by tests, waiting testers or customers and finally handoffs. I’m sure you could find equals in a service business and apply Lean. Flow includes methods, people and culture. Understanding “value stream” will corroborate we understand flow. Carry out Lean methods and you’ll have teams focused on flow of value and not on expertise in areas. Focus on people who add value. Upgrade skills for team workers. Use apprenticeships. Form teams who design their own methods. Form teams who have tools to solve problems fully. It means management supports teams. And they don’t tell them what to do. Add value quickly to avoid waste creeping in. Flow comes from customer demand or “pull”. Do nothing until the step downstream needs the work. Using this method, you make goods when customer asks for it, not before. So you delay commitment until you see the customer asking for the service. Gain extra productivity by having your teams collaborate. Share knowledge, assets and people. Make Lean Manufacturing work for your business...take 3 simple steps shown here and you’ll be right there. Written by Suresh Iyengar, P.E., President, Business Unit Execution LLC––“Explosive Business Coaching Houston For Small Business”. Want faster results? Are you ready to learn? Call 281.410.5375 and speak to your Profitability Coach Houston today!